Welcome to Block Battles: Star Guardians, a fast paced super fun competitive online top-down shooter. 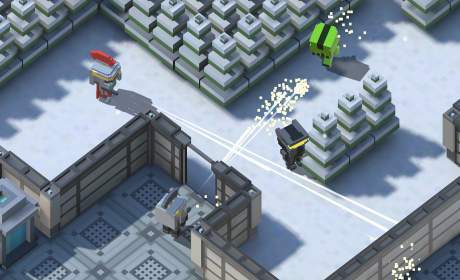 Jump into these mobile friendly blocky wars and battle friends or foes. After the battles earn new gear to outfit you Star Guardian on the battlefield. Rise to the top of the leaderboard ranks and force your friends to admit your supremacy. Got nimble thumbs? Block Battles: Star Guardians gives all the power to the player. You move and shoot freely about the map. No auto-aim. No click-to-move. Just you and your ability to dominate the match. Spew machine gun fire over the field or run for cover while waiting for your shields to regenerate. Then jump from the black of the shadows, grab a power up and force your score to the top. There are a variety of power ups each with it’s own ability to turn the tides of battle. There are 3 maps included with the initial release of the game: Forrest Bunker, Black Ice Base, and Desert Halo. Additional maps will be added with each update. Perform well in battle and you will be rewarded. Earn chances to gain new blocky costume pieces. Each costume piece can be customized, mixed and matched so you can show your own unique style on the battlefront. Go for the cutest or deadliest looking player out there – its your call. Then give yourself an awesome online name that will strike fear into the hearts of your foes. Win online wars, get new loot, show your style. It’s tons of fun! Pwn your friends and AI bots. Rise to the top. Block Battles: Star Guardians is fully enabled for Google Play leaderboards. Chase your friends scores or go for the glory of ranking on the global leaderboards. 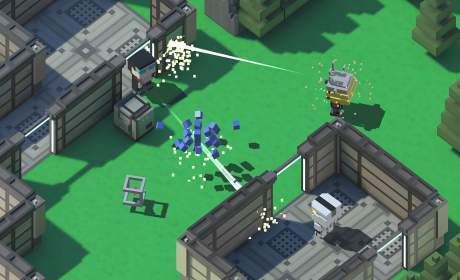 This blocky battlefront needs a hero. Is that hero you? Forest Bunker – A small planet-side special ops base with 2 bunkers. Hide amongst the trees or occupy the bunkers. Black Ice Base – An abandoned research facility used in the rebel wars. Force your enemies out into the cold! Desert Halo – A desert outpost stationed at the battlefront of the galaxy. Face your foes in the desert heat! 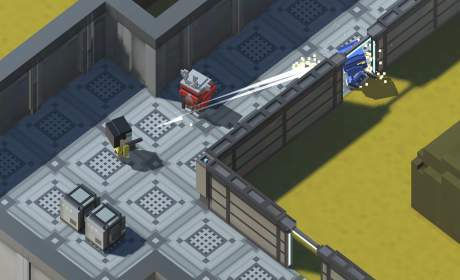 Shotgun – A brutal spray weapon that is devastating at close range. Laser – A special ops weapon that cuts through foes quickly. Overshield – Forms a protective halo around the player letting health regenerate underneath. Additional levels, power-ups, characters and more coming soon!